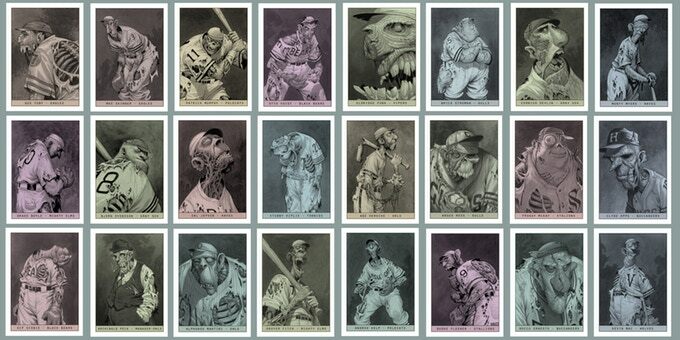 The former ‘Sandman’ and “Fables’ artist seeks to crowdfund ‘Horror at Home Plate: League of Zombies,’ a 24-card set of zombified baseball players. Shawn McManus’ comics work runs the gambit from Heavy Metal to Saga of the Swamp Thing to Dr. Fate to Sandman and many other titles, but now he’s turned his pen to something different — baseball cards. McManus is using Kickstarter to fund a set titled “Horror at Home Plate: League of Zombies” — so there’s a bit of a supernatural twist to them. 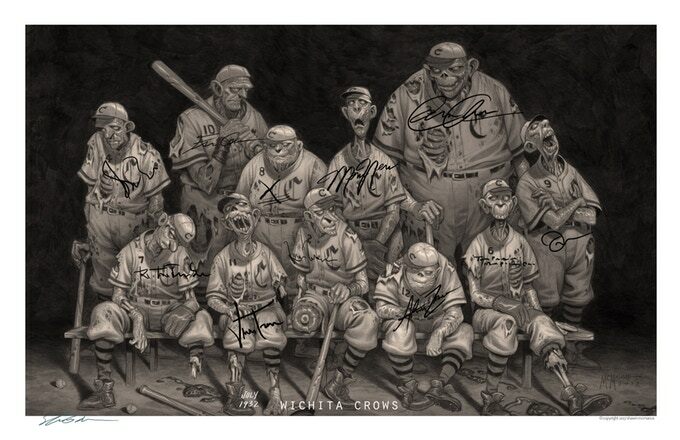 For $20 you can get the full set, which includes such fictional baseball players as Sal Jepsen, Drake Boyle and Earl Fripp — all zombies, of course. Other reward tiers include signed cards, prints and original art. Shamble over to Kickstarter to learn more.